The new Wrath of Machine Raid of the latest expansion pack Destiny Rise of Iron has new loot, puzzles, collectibles, chests and exotic weapons. Outbreak Prime is a really powerful exotic weapon with 390 Attack, it’s a pulse rifle that you can get in Destiny Rise of Iron. Outbreak Prime definitely provides a hard punch to Fallen. When you perform the precision kill, this pulse rifle spawns nanites to attack nearby enemies. This exotic weapon is really hard to get because to get this exotic weapon you will have to complete the Wrath of Machine Raid twice, some quests and you also have to solve a math puzzle. But don’t worry, in How to Get Outbreak Prime Exotic Weapon in Destiny Rise of Iron guide we will show you how to get Outbreak Prime in the latest expansion pack Destiny Rise of Iron. 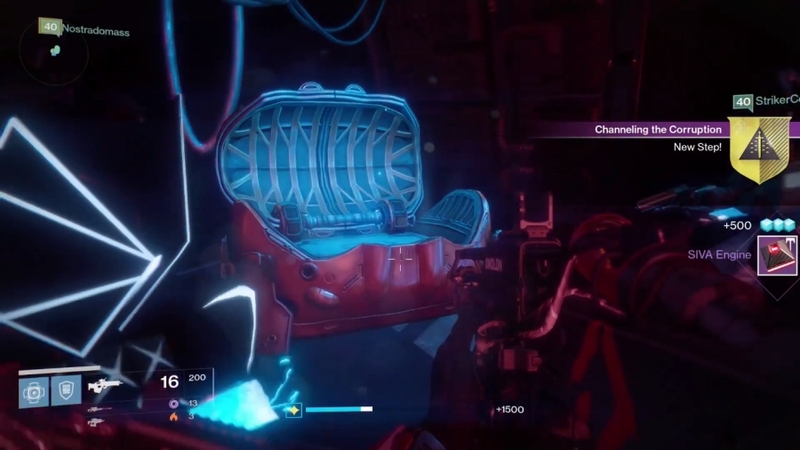 1 – Start Wrath of the Machine raid and activate all 5 of the Secret Monitors to get the SIVA Engine from the chest. When you get the SIVA Engine, it will start an exotic quest. 2 – Now you need to have a team of one Hunter, one Titan and one Warlock for the exotic quest. And as a group you need to complete the following tasks and then return to Iron Temple. 3 – Open your inventory and inspect SIVA Engine. Follow the instructions in the above video to solve the puzzle. This puzzle is based on your class. And in this puzzle you need to synchronize the energy flow of SIVA Engine. You need to share the solutions with each other in your team in order to complete the puzzle. 5 – When you complete all the above tasks, you will have a Charged Siva Engine. However the part is not over, you need to complete another puzzle similar to the 1st one. Watch the above video for the solution. 6 – Now you will need to finish the raid again. 7 – After completing the raid, go to Iron Temple with your team (one Warlock, one Titan and one Hunter). Now the last Puzzle for Siva Engine is randomly generated, so there’s no solution for that but thankfully, someone created a Calculator Tool to help us solve it. 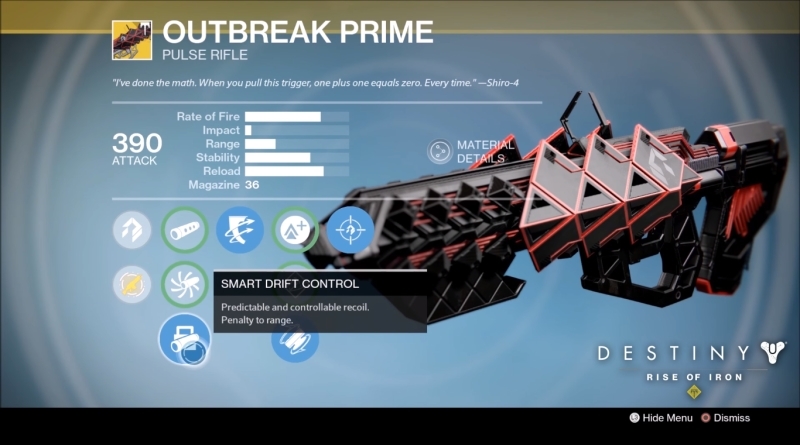 8 – After completing the last puzzle, talk to Shiro-4, and you will get the Outbreak Prime Exotic Weapon.